The Maltings Studios creates stunning branding, logos, brochures and manuals. Contact us today for competitive prices. This brilliant programme brings golf to inner cities and golf to kids who would normally be unable to access a golf club. 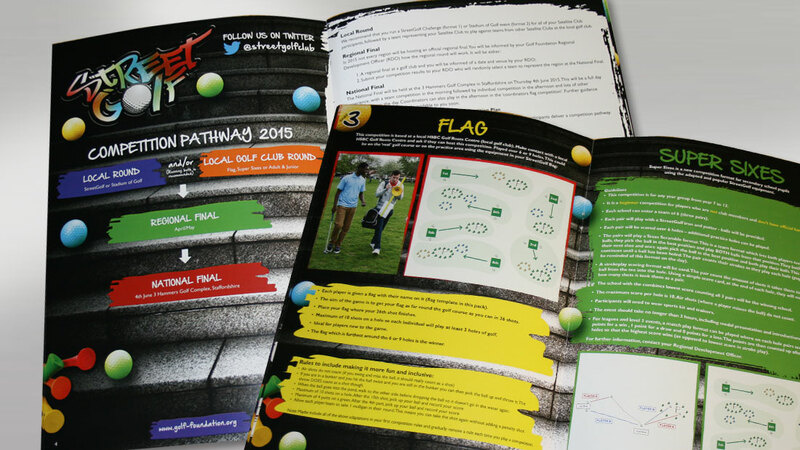 We designed and produced these manuals which are aimed at young adults. 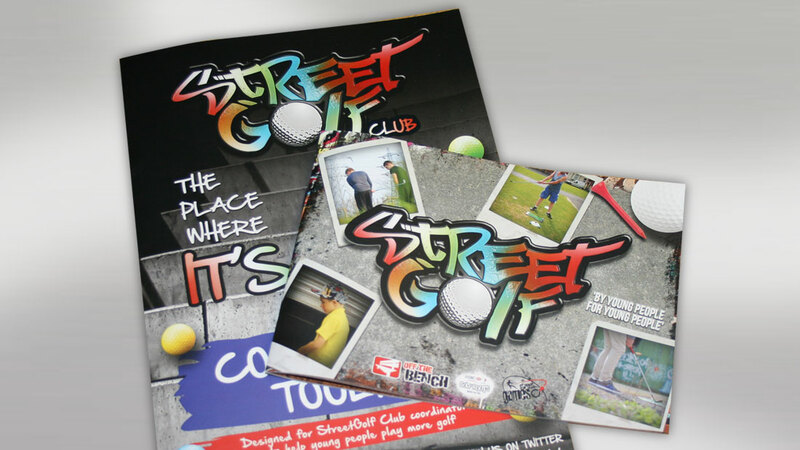 The brief was to make it urban and very different from the perceived idea of a golf club and overall it had to be fun. 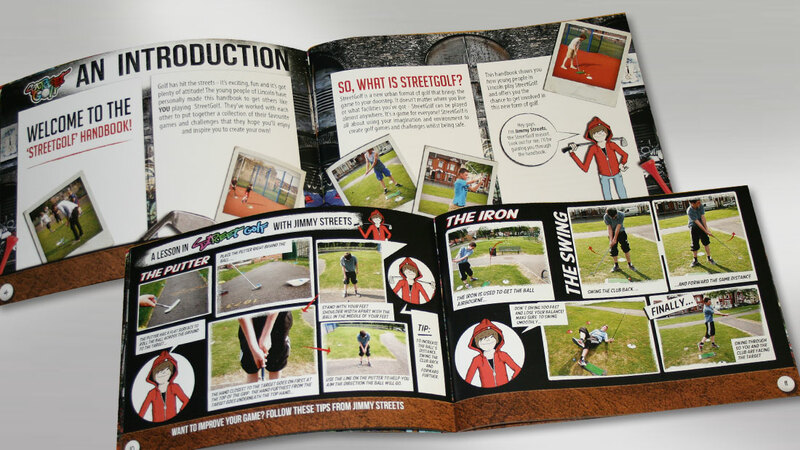 The 40 page manual is a coaching aid which gives teachers the confidence to carry on learning to set up their own classes and games.